This is the 540-pin electroplated photon micro-needle roller LED photonSimulate the biological currents of our bodies. Combining the current and current with the positive effects of skin acupuncture treatment, the basic vibration massage of the new roller is formed. The mechanical vibration acting on the skin changes to physical vibration. Vibration massage can promote blood circulation and lymph circulation, promote skin metabolism and cell movement activation. 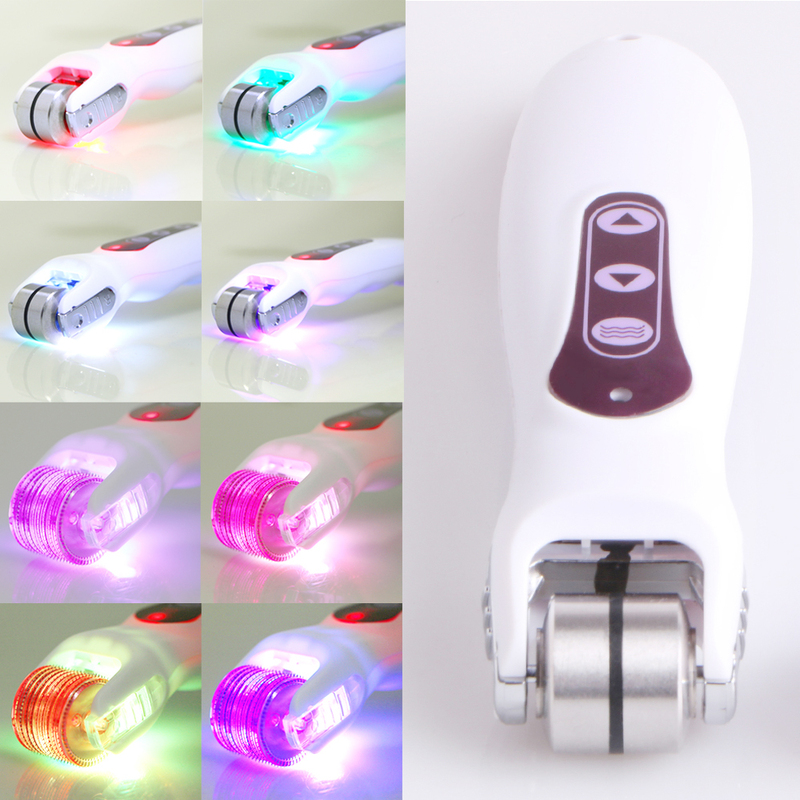 Vibration massage can eliminate skin fatigue, relax nervous skin, and make microneedle roller act on skin. More uniform intensity It has an incredible ability to enhance the absorption of normal nutrients, anti-aging, repair wrinkles, restore skin elasticity while also stimulating our skin cells to release high levels of collagen to self-heal and rejuvenate. Combined with the positive effects of current and current and skin acupuncture treatment, the basic vibration massage of the new roller is formed. Mechanical vibrations acting on the skin change to physical vibrations. Vibration massage can promote blood circulation and lymph circulation. Vibrating massage eliminates skin fatigue, relaxes tight skin, and causes microneedle rollers to act on the skin. Enhances the absorption of normal nutrients, anti-aging, repairs wrinkles, restores skin elasticity, and also stimulates our skin cells to release high levels of collagen.